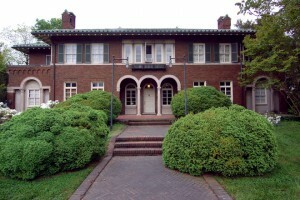 ArtsGreensboro owns and operates the Sternberger Artists Center at 712 Summit Avenue in Greensboro. Built in 1926 by Sigmund Sternberger, the Center was donated in 1971 from the Sigmund Sternberger Foundation. Originally, the home housed the offices and member agencies of the United Arts Council. Today, the Sternberger Artists Center includes 16 studios and thrives with 90-100% occupancy. The center’s studio spaces are home to a variety of artists, including writers, painters, photographers and more. The Sternberger Artist Center receives generous support from the Tannenbaum-Sternberger Foundation. For information about studio rental at the Sternberger Artists Center, please contact us.